Keeping my hair healthy has been a priority of mine for years. Ever since I first experienced using the AQUIS hair towel, I realized how much care my hair actually needs. Like I’ve said before, my hair is really thick and grows out fast. I’m currently sporting mid-length hair after chopping it to my shoulders a few months ago. Some goals I had set for my hair were for it to be free of split ends, soft, shiny and have as much volume as I can get. My hair is naturally very flat, but I’ve found some shampoos that do the trick! 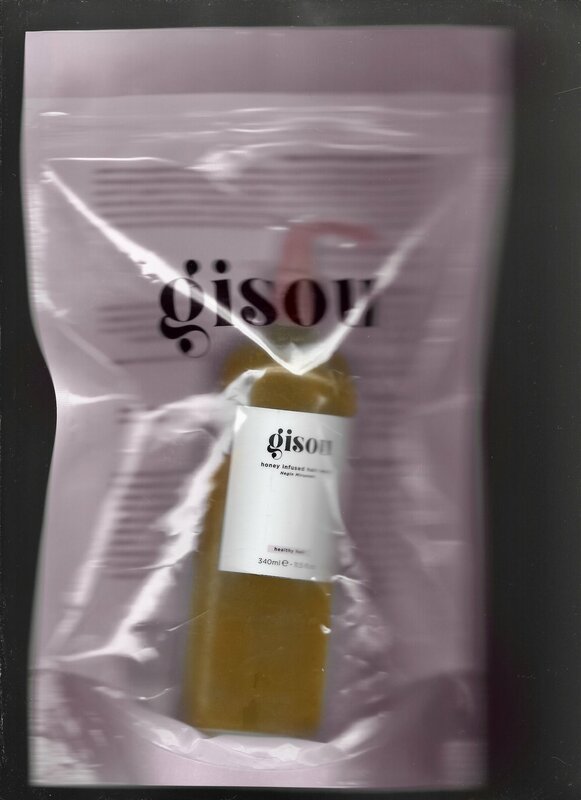 The Gisou Honey Infused Hair Wash is one of them. Gisou’s shampoo reminds me 100% of honey, like all their products do. It’s what they’re known for. The honey in this shampoo is a humectant that supports your hair in being shiny, soft and healthy. No surprise, it also smells like honey. More like a soft, floral and honey mix. Gisou’s products smell amazing and I’m even a huge fan of their hair perfume. The packaging of this duo is great as usual. I particularly like a pump on a shampoo! One concern I had before trying it was that it might leave behind build up on my scalp. Because my hair is so thick, I sometimes have trouble rinsing out all the shampoo, but this one is easy to rinse out of even the thickest hair. It also provides a nice lather while still being free of sulfates. The main cleansing component of their shampoo is actually sodium lauroyl methyl isethionate which is a safer, more mild cleansing agent than the usual sodium lauryl sulfate (more commonly known as SLS). The Honey Infused Conditioner is one of the better conditioners that I’ve tried. My personal preference when it comes to conditioners is for it to be thick, but not leave behind any residue. I hate watery conditioners that just get lost in my hair. I end up using so much of it and don’t really see results. This conditioner lands right in the middle, thick enough for my liking (but not too thick) and rinses out like a dream. You can actually feel how soft your hair is when you rinse it out. There’s no waxy feeling left behind once my hair dries and it’s so lightweight that it won’t weigh your hair down. I’m impressed at how shiny my hair looks considering there are no silicones in the ingredients. I top it off with Gisou’s Hair Oil after towel drying with my AQUIS hair towel. Then I’ll spritz some of Gisou’s Hair Perfume into my dry hair for the best smelling hair of my life. You can purchase both the shampoo ($36) and the conditioner ($33) for $69. You’ll get 11.5 oz of shampoo and 8.1 oz of conditioner. To be honest, I’ve used a good portion of both in a short amount of time. I’m sure this is because I have a ton of hair, but realistically I couldn’t continue repurchasing this. It doesn’t fit my budget, as much as I love it, and I would have to restock more often than I’d like to. I believe this duo would work better for those with less hair, but I encourage you to reflect on how much shampoo/conditioner you use, how often you restock, etc. if you’re wondering if it’s worth it.